Canadian marijuana businesses are still getting a handle on marketing and branding their products without breaching the country’s strict laws on cannabis promotions. Nearly six months in to the nation’s newly regulated marijuana sector, Health Canada said it has received 117 complaints regarding promotional activities of cannabis companies. In terms of enforcement, Health Canada said it issued four warning letters and three compliance letters related to those promotions. 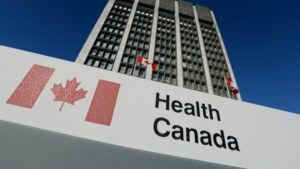 The federal government’s health department also conducted more than 40 “compliance promotion” phone calls with a variety of regulated parties in relation to complaints or to address questions about potential noncompliance. “Through these letters and calls, the department reached a range of regulated parties, including individuals, federal license holders, provincial or territorial retailers, media organizations and others, such as conference organizers and charitable organizations,” Health Canada spokesman Geoffroy Legault-Thivierge said. The Cannabis Act prohibits promotion, advertising, sponsorships, endorsements and other forms of marketing that could encourage young people to use cannabis. Some licensed marijuana companies have found creative ways to skirt the rules without violating them. Canada strictly prohibits “the use of testimonials and endorsements in promotions and on any promotion that invokes a specific way of life” to sell cannabis, however companies are allowed to enter into business relationships with celebrities. For example, Ontario-based Canopy Growth partnered with a Toronto marijuana company co-founded by entertainer Seth Rogen to sell Houseplant-branded flower, softgels and pre-rolled marijuana formats. Regarding online promotions, Health Canada recently said one-click authentication of a website user’s age do not adequately ensure cannabis promotions cannot be accessed by youth. The agency also issued a lengthy warning to license holders, reminding them of their obligation to comply with the promotion, packaging and labeling requirements in the Cannabis Act and to identify specific areas where there is room for improvement. “Health Canada will continue to proactively engage all regulated parties to promote understanding of the new promotions prohibitions and restrictions on promotion,” Legault-Thivierge said. Health Canada has to stop those ridiculous packaging and branding requirements. They are not in line with any other industry whether its heath care or social use activities etc etc. Just waiting for the Canadian Government to wake up and smell the weed because no matter what they do to stop the youth from using, it’s all a dream. Youth can and do access all the other unhealthy vises in our society and so the Government thinks that what they are doing with cannabis is going to work. Typical Government crap wasting money. The youth’s parents need to take the responsibility to raise their children NOT the Government.